Deborah Mullan/A Creative Living Professional : Look At What's New! WILL LIKE IT, I'M SURE! Even Dr. Gerald Mullan WILL BE JOINING ME, FANCY THAT! 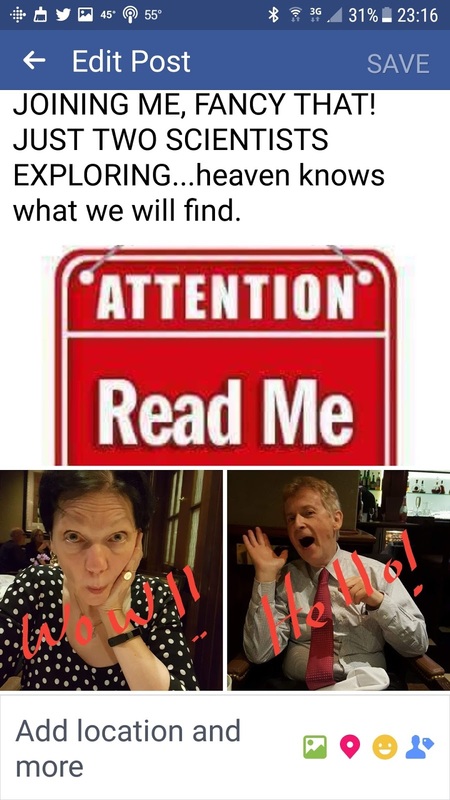 JUST TWO SCIENTISTS,, EXPLORING..THE SCIENTIFIC DYNAMIC DUO...heaven knows what we will find.